Bomb Pops were a favorite treat of mine growing up. 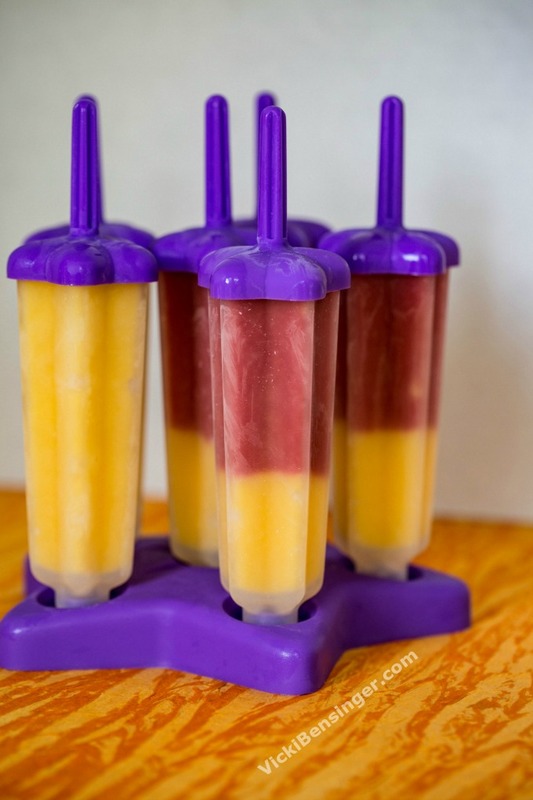 In an effort to recreate a healthier version, I created these tasty Strawberry Mango Bomb Pops with Coconut Milk. You’re going to love these! When I was a little girl we used to play hide and seek in our neighborhood. The tree in the front of our house was the biggest, so everyone used that for home base. If we weren’t playing hide and seek or riding our bikes, we’d be catching fireflies after dinner. Nothing could stop our crew of friends from playing except the ice cream man. We’d hear the bell from Mr. Softie or the music of the ice cream man coming down the street and we’d all scatter quickly inside to get change from our parents. Yes you heard that right, “change!” Back in those days it cost fifteen to twenty-five cents for a Bomb Pop, or Dreamsicle two of my favorites. Bomb Pops were huge, fun to eat, and oh so sweet when I was a child. I’ve been wanting to make some now that the weather is getting warmer, but instead of having them laden with sugar I decided to make them healthier, but naturally sweet. I first made some using fresh fruit (Kiwi, Blueberry, Mango, & Strawberry) about a month ago. I made the mistake of not tasting them after they were pureed in the blender. They weren’t sweet at all, but sour. So I decided to make them again using unsweetened frozen fruit, and adding unsweetened coconut milk. 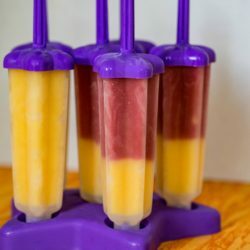 This time my Strawberry Mango Bomb Pops with Coconut Milk turned out perfect, and so delicious! My favorite Bomb Pops as a child were Banana Bomb Pops which I haven’t made yet. 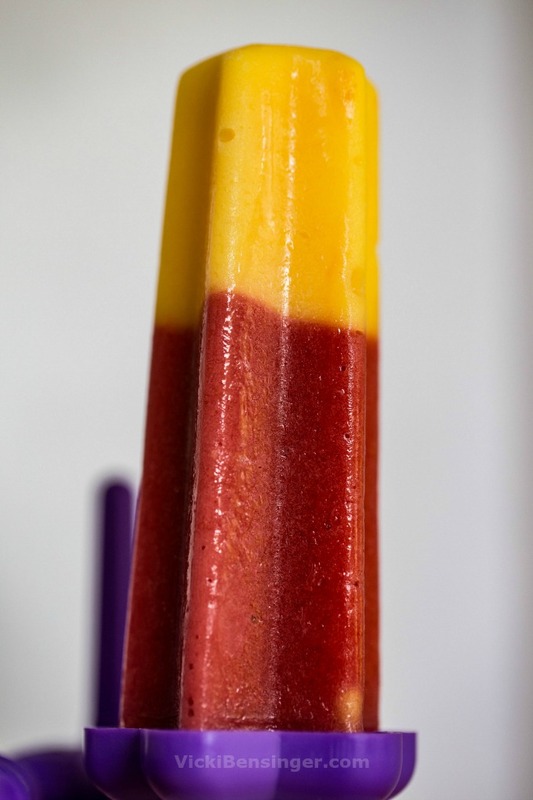 I’ll make those just as soon as I finish this batch of Strawberry Mango Bomb Pops with Coconut Milk. In the recipe below I used coconut milk with the frozen fruit. If you’re not a fan of coconut, no worries! You cannot taste any coconut at all. Of course you could thin the fruit out slightly with water, yogurt, juice of choice, milk, cream or whatever liquid suits you. I don’t think I’ll bother using fresh fruit again. Frozen fruit is picked when it’s at its best. So you can always be certain it will be naturally sweet. Do check the label though, some fruit like strawberries often have added sweeteners. If you can’t find Popsicle molds don’t worry. You can always use small Dixie Cups with a popsicle stick inserted in the center. Also use whatever fruit you love to tailor them to your taste. 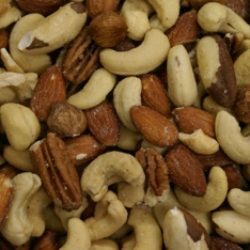 A favorite childhood treat goes healthy without sacrificing flavor! Place mango chunks and 1 cups coconut milk into blender and puree. 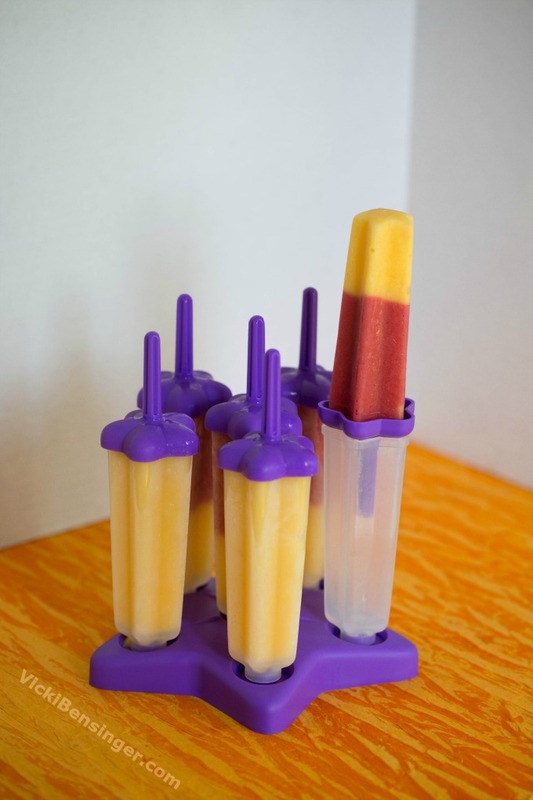 Pour mango puree 1/4 way up each Popsicle mold. 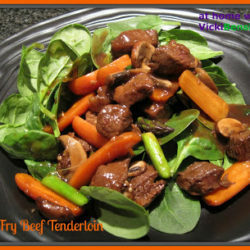 Place into freezer for 30 minutes. Just before the 30 minutes are up place strawberries and remaining 1 cup coconut milk into blender and puree. Pour strawberry puree over solidified mango in molds. Place Popsicle sticks into molds and return to freezer until frozen. To remove: Run hot water over each mold individually briefly to ease in removable from Popsicle sleeve. Any remaining puree can be poured into a glass to drink as a delicious and healthy smoothie. Note: Select fruit of choice. 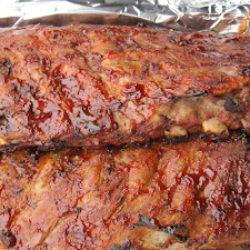 To create a triple layer of flavors allow each layer to solidify at least 30 minutes before adding the next. Your layered bomb pops are beautiful! 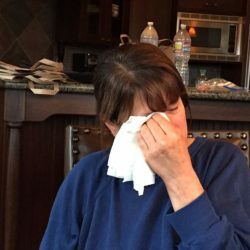 I don’t think we had an ice cream truck that came to our neighborhood but we still got popsicles and, my favorite, fudgsicles in the summer. Now I’d much rather have your fruity bomb pops! I thought everyone had the ice cream truck. You missed out, it was so much fun hearing the bell ring as it came down the street. I also love fudgesicles, they’re another favorite. 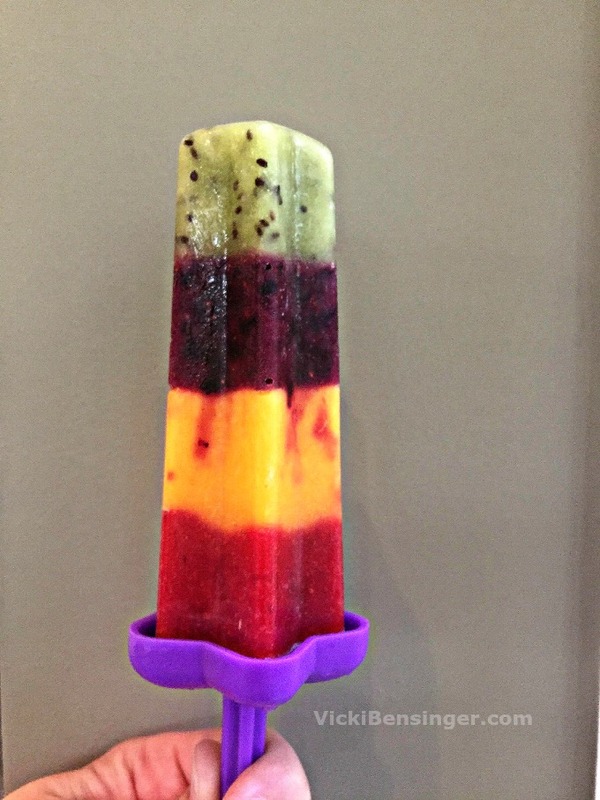 It’s still too cold for ice pops over here…I am sure these would be a hit during hot summer days! Definitely save this to try in the summer. Where are you that it’s cold now? I haven’t had a bomb pop in years! Used to really like them. These are fun — a nice grown-up version. Thanks! It’s a healthier version and honestly you can’t even tell there’s no sugar added.